Trick or treat? Pumpkin carving above the water or underwater? The choice is yours of course, while underwater pumpkin carving has become an annual ritual, contest or tradition name it as you wish among many scuba divers specifically in Florida Keys, Lake Michigan and some other cities in the United States and Canada. Divers descending into water to carve out some spooky pumpkins. Now as the Halloween is upcoming, how about trying out this contest among your local dive communities or at least learning about it?! Pumpkin- this might go without saying that you need a nicely rounded pumpkin to carve out Jack-o’-lantern. Side note: place a weight in the hollowed pumpkin, it can be very buoyant and hard to descend. If you had a quirky wetsuit somewhere in your wardrobe, now it is the best time to dust it off. In some locations the water and air temperature can be quite chilly, so be well prepared for a comfortable dive. 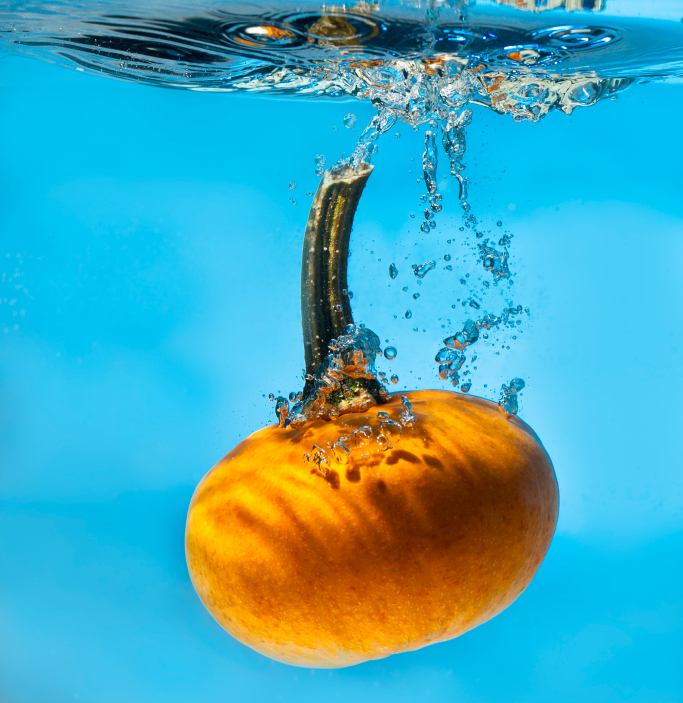 It’s not necessary to dive solely for underwater pumpkin craving. This fun activity can be perfectly incorporated with a learning or curious activity. No sophisticated tools are required except for a good dive knife. Be careful from cuts and damages. Place your dive torch inside the pumpkin and there you go with a light flickering Jack o Lantern. Don’t forget your camera for a group picture with your gang and the scuba pumpkins. Feel free to share your previous or upcoming Halloween dive photos and experiences in the comment section.